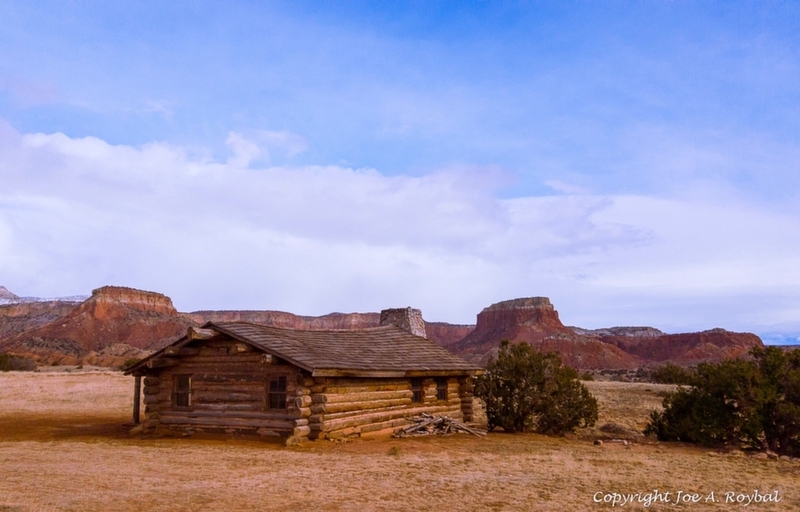 A cabin up near Abiquiu in the northern part of NM. I'm pretty sure it was made when filming the movie "City Slickers". Samsung s7, 4.2mm, f1.7, 1/5600 sec. A desirable bit of real estate, Joe...... nice complementary colour tones with the cabin blending in well with the surrounding landscape. This is cool. I like the composition with the leading lines of the cabin roof guiding my eye into the image. The colors are super. I wouldn't want to live there. Very authentic rendition showing that this land is as tough as it is beautiful. Very interesting harmonious colors- looks so desolate! Very nicely composed.